Meat of hunted animals have a wide range of taste, many have rich flavour, while others are simply unpleasant. It’s a great thing to be able to experiment with the flavour of each meat. Game birds don’t necessarily taste like chicken, although they are all birds. They should be a welcome change from the typical fare that we get from home cooked and restaurant meals. 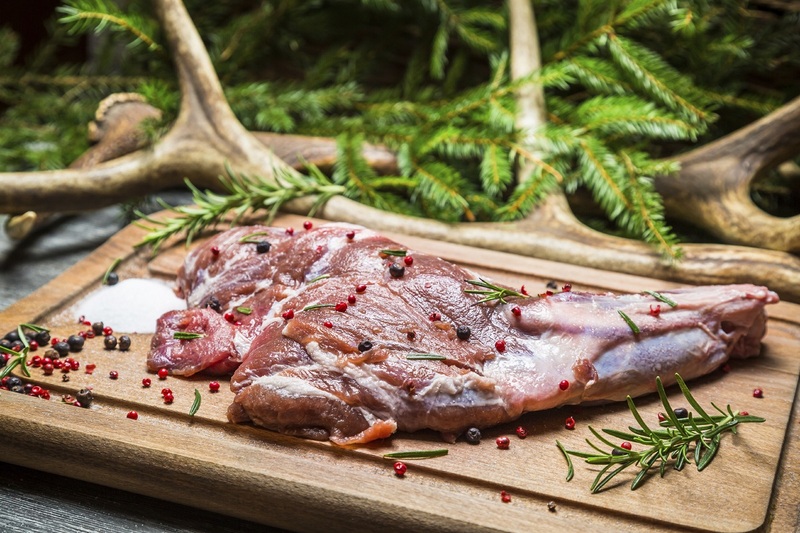 Wild game birds should allow us to get healthy meal with leaner meat. It’s quite unfortunate that farmed chicken meat has been polluted with hormones, antibiotics and other drugs that can be passed into our body. Quails are not known for its egg, but also its meat. Due to their small size, it is recommended to cook them for only ten minutes. What we get is a meat that is tender and juicy, with slight hint of gaminess. Because quails are small, each person should get at least a couple of quails, perhaps 3 or 4 if you are hungry or have a big appetite. They can be used both for appetizer or the main course. Due to their subtle gamy flavour, compared to chicken, quails should stand up to a bit more aggressive spices. Compared to many meats, quails should be able to take on flavours better. It will do very nicely with red wine marinade and paired on the plate with foie gras. Ruffed grouse is another wild game meat that we can eat. These birds are bigger than quails and look more like smaller wild chicken, but with somewhat more assertive flavour. If we hung it for a couple of days, we should be able to reduce the cooking time and improve the tenderness. Many game aficionados would say that grouses are the tastiest game bird, which can replace chicken in any recipe. The best way to prepare grouse is by baking in an oven, grilling and deep frying it. Chukar patridge is native to Asia, but has been brought to many countries, including the United States. The fat-bodied bird is about the size of typical Cornish hen and weight approximately a pound and half each. The texture and taste are similar to quail, but the flavour is somewhat mild and nutty. Chukar partridge and quail can be used interchangeably in any recipe, but because the former has bigger size; you should adjust the serving size and cooking times appropriately. Pheasants look like a royalty among wild game birds with colourful plumage and the relatively large size of the male pheasant. Because they are relatively big, it could become a centrepiece for any good meal. They have rather mild flavour and many people who dislike game bird find pheasants acceptable to eat. For people who want to get stronger taste, they should be hung the pheasant longer and the bird’s flavour should develop more. When cooking pheasants, we should understand the difference between the taste of farm-raised and wild ones. Seasoning should be used properly to avoid masking the taste of the meat.